The property has been fully renovated and features fresh, modern décor in the spacious guest rooms. Smoke free premises. 129 units. 4 stories, interior corridors. Accessibility (Call). 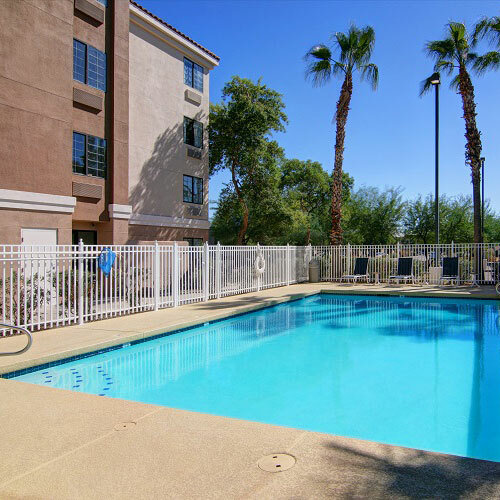 I-10 exit 160 (Chandler Blvd), just e, then just s on Southgate Dr. 7400 W Boston St 85226.
resort fee, pet friendly (call for restrictions/fees. ).